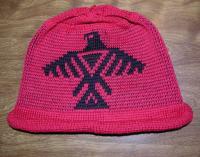 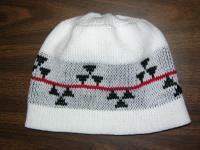 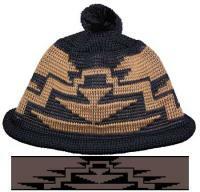 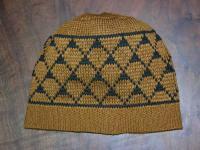 Native American Adult Caps and Beanies are all Custom Knit so you can select your own colors, roll hem or basketry woven hem, and each design is offered in acrylic or merino wool yarn. 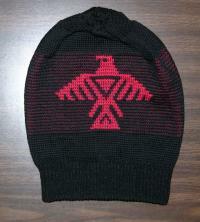 Our turn around time for caps is approximately 2 weeks for these custom beanies. 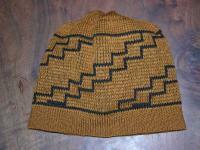 We will contact you if there is a longer time frame. 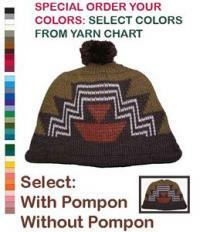 For immediate delivery check out our In Stock category in our catalog block on the left side of the page which are already knit and in inventory.